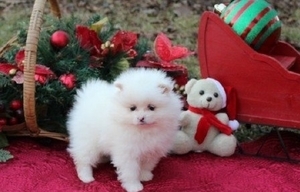 Beautiful Pomeranian puppies Available . Ready to go now.If they are going to good life long homes.Both male and female , adorable and playful puppies . Chunky with wrinkles in all the right places.These little pups are the friendliest & happiest little things you will meet. Used to being around children & love lots of attention and cuddles.They are A kc registered and papers are available. They are up to date with flea and worming treatment and have been vet checked Vaccinated micro chipped front lined and wormed and come with a fab puppy pack Had the best start in life and have been raised in our home text us If you have any questions please.